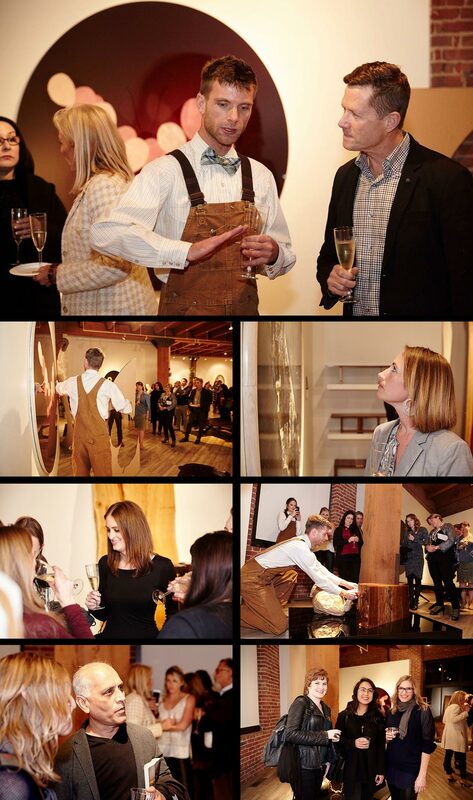 Here are some visuals from Studio Roeper’s VIP Champagne Reception and Private Tour. One of the highlights of the evening was the unveiling by Senior Craftsman Florian Roeper of our latest creation, the BALL & CHAIN table, an Elm stump which had grown around a steel chain. [http://studioroeper.com/side-tables/ball-chain-2/]. It was a merry gathering and I would like to thank you all for joining us!! Stay tuned for our next designer event in February during Design San Francisco 2016.